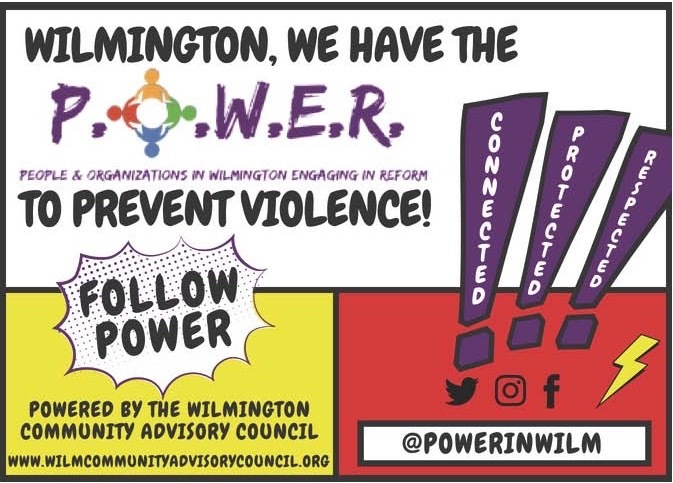 WILMINGTON –According to the National Center for Health Statistics, Delaware ranks 26th in the country for teen pregnancy. With regard to the rate of those living with HIV in the First State, the number is nearly 22 per 100,000 residents. 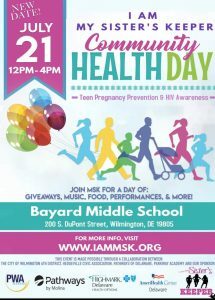 On Saturday, July 21st, I Am My Sister’s Keeper, Inc. (MSK) will be bringing awareness to this troubling trend with community Health Fair at Bayard Middle School focused on Teen Pregnancy Prevention and HIV Awareness. In addition to providing information and giveaways, the event will feature music, food, performances and more. Please show your support by joining MSK as we uplift the next generation of dynamic civic leaders and help them leverage their strengths to help young women succeed. For more information contact Melody Phillips at 302-367-7334 or melodyphillips@iammsk.org or visit www.iammsk.org. Follow us on Instagram and Facebook @mskrites.